In early 2015, I was promoted into a managerial job which quickly took away a lot of my ‘spare’ time and inevitably, my writing output began to suffer. That precious hour or so in an evening (without the kids!) is simply not enough time to continuously and seamlessly work on either a comic script or book and as a result, my writing has effectively stopped. Over the last eighteen months or so, those stories that I’ve had published were mostly already complete and so were either looking for a home, or sitting on some editor’s desk awaiting final publication. I currently have a couple of scripts still awaiting an artist (one story for Something Wicked has been waiting for over two years now) and so any hope of them seeing publication soon is slim. When they do, I will of course update my ‘published work’ page. It’s therefore somewhat fitting, that as I now find myself without the time to actively pursue a career as a ‘hobby’ writer, I look back at some of the highs and lows of the last few years. Indeed, this website was originally conceived as a diary of my success/failures, something for me to hopefully look back on with a degree of pride. - - That the comic book version of COLT-45 never became a reality. Despite a successful Kickstarter campaign, the artist unfortunately failed to deliver. - - I spent more time on my ‘Next of Kin’ project than anything else (bar my book) and it was a little disappointing for the artist to give up when we couldn’t secure a publisher. More so as I would have found a way to fund the project myself. - - Fast forward to the present day. My current job and a busy family life have effectively conspired to put a hold on my writing and with it, any hope of writing a second book. 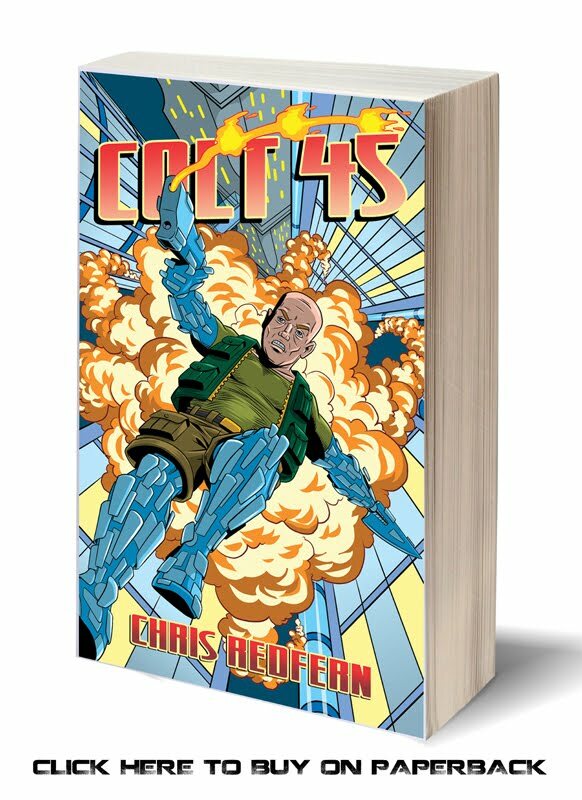 - = Publication of my first book, the novella ‘COLT-45’. Despite few people (but my kids) actually reading it, I’m still immensely proud of something which took me about 1000 hours and over two years to complete. - - Since the publication of my very first story back in 2013, I’ve managed to get a grand total of 47 stories published in 3 years!! 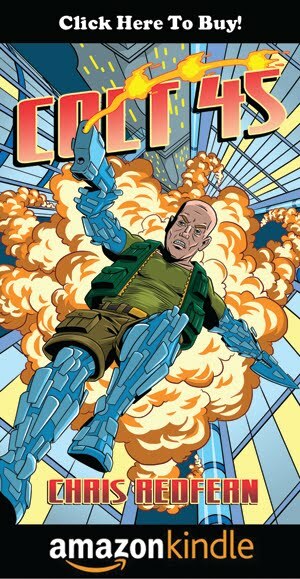 The challenge I first set myself was to get a comic script published and I’m pleased to say I’ve somewhat exceeded that. - - I’ve been lucky enough to work with some incredibly talented artists and I’m especially grateful to Trystan Mitchell, Dan Cornwell, Edward Whatley and Jake Lynch. Overall, I’ve enjoyed being a part of so many writing projects and I certainly don’t regret the time I’ve spent doing them. Going forward, there are perhaps a couple of old scripts I might brush off and I dare say I might even have a go at a short story completion or two, but it’s fair to say that this website will be a quieter place from here on in…. Time is indeed precious and it seems that as far as writing is concerned, it’s no longer on my side.